1- Within a discussion, our eldest son told us to remember that we at one point have praised the Egyptian President Abdel-Fattah Al-Sisi, and our eldest son used to repeat to us that no good will ever come out of him, but we did not listen at the time, and later on, predictions of our eldest son have come true and we now attack Al-Sisi in our articles. 2- We said to our eldest son the following. 2/1: Political views are personal point of views that differ from one person to another and within one person from one time to another, as per changes occurring within the political life of a given country. What is of vital importance within such changes in political life is that a thinker/writer would adhere to what is deemed to be right and true, by supporting in all articles and books the weak, helpless ones on earth and call for giving them their human rights and political and social rights. This is our stance from which we never budge within our political writings. We tend to believe that the passage of time has proved us right in most of our political views but some may disagree with us. Hence, to prove our point, we re-publish here briefly some of our political views written before in the late 1980s and in the 1990s and recently. No doubt that some of our predictions may be wrong, and it is OK, because we are not a political writer in the first place; we are only a Muslim writer, thinker, and reformer. 2/2: There is a clear, distinctive difference between political analysis and political religion-based preaching, as we have written in both fields. We are a Muslim thinker that seeks comprehensive reform within the religious, political, cultural, and social aspects in Egypt and the Arab world. Reformist writings focus on negative points because reformers are like surgeons who hold scalpels to treat patients who, in their turn, hate their treatment and desire to remain ill, and they love their disease and hate the surgeons. This is why we have asserted many times before that we, as a writer, focus on the negative aspects despite of ourselves; we live in an age of degeneration and the choice between the worse option and the worst option. Within such lowest levels of tyranny and corruption, a glimmer of hope sometimes emerge that had to be praised and encouraged by us, but if it turns out to be a false hope, we criticize and attack with our words. We are judging behaviors and actions, not judging what is inside people's hearts, because the really pious ones will never be known to people except in the Day of Judgment when they enter Paradise. 3- Let us below tackle the tragedy in this age of degeneration; the tragedy of having to choose between the worse option and the worst option. 2- The era of Al-Sisi, in his first presidential term, is one of degeneration just like the Mubarak era of 30 years. Kaddafi, in his turn, took 30 years to reach a level of megalomania that made people laugh at his words; Al-Sisi has reached this level in less than one year. We tend to believe that with the passage of time, torture in his era will turn out to be worse than torture in the Mubarak era, and that more money was stolen in comparison to Mubarak regime. Let us bear in mind that Al-Sisi grew up within the Mubarak era; Mubarak participated in many wars, but Al-Sisi participated in none, except against the unarmed Egyptians. Mubarak, through his cronies of thieves, used to steal the money of Egypt. As for Al-Sisi, he is protected by security forces, the armed forces, and the judiciary system to steal with impunity along with his army generals, as far as we know. With the armed forces controlling economy and projects of services, consumer products, etc. no one else can compete or check, and this makes corruption levels soar. 3- Whatever praise and criticism being written and said about Al-Sisi now, we tend to think that three facts remain until now: 1) he is a disciple of Mubarak and he excelled in comparison to him, 2) he is the worst result of the military rule if the 1952 coup military rule era (1952-2011), and 3) he is the worse option, whereas the worst option is Wahabi rule of terrorist Salafists and the terrorist MB. Yet, words of Abdullah Ibn Abdul-Aziz Al-Saud turned out to be empty words; it is transpired that Bush in his first presidential term (and following 9/11) had pressurized Abdullah to reform education inside the KSA as part of the project to reform education in the Middle East. Educational reform was our project in Egypt in the 1990s and we are one of the pioneers in that field. When pressurized by the USA, Abdullah held media-covered conferences and forums about reform. When Bush committed his fatal mistake, the invasion of Iraq, he was too busy in the Iraqi quagmire to check the KSA. Abdullah seized the chance to revoke his decisions of reform and he imprisoned some callers and preachers of reform; the KSA remains the same with its flagrant violations of human rights, and we have resumed writing articles to harshly attack the Saudi regime. 3- This Wahabi KSA has the worse and worst options overlapping as almost identical. 1- When Kaddafi denied and ridiculed the so-called Sunna and hadiths, Libyan authorities sent us invitations to attend conferences and cultural activities in Libya. We went there in hope of urging him to introduce reform, as he has mentioned words about reform in his so-called ''Green Book''. Once in Libya, we sensed the Bedouin tribal tyranny everywhere. 2- Within attending a conference in Libya for the last time, we protested against the fact that the leader of the conference distributed a paper with decisions of the conference be signed by all attendees. We outspokenly told him that we came here to speak and Libyans are to listen, not the vice versa. Some of the attendees agreed with us and supported the paper we have prepared instead. We were treated with icy coldness afterwards until we left Libya and returned to Cairo, Egypt. We rejected all invitations that came afterwards to go to Libya again. Kaddafi is dead now; he still owes me the total sum of L.E, 10.000 in return for research papers published by his so-called The Green Book International Center. 3- We felt that Kaddafi was a worst option, but he is the worse one; the worst option is ISIS rampaging Libya now. At least, when we disagreed with Kaddafi, he did not attempt to kill us; ISIS terrorists would kill any oppositional figure by beheading. 1- Both countries were ruled by the so-called Baathist Party, but instead of joining hands, Syrian and Iraqi Baathists quarreled so often. Both regimes massacred people within their respective nations by their armed forces (Saddam Hussein, Al-Assad Sr., and Al-Assad Jr.). The Junior Al-Assad is worse than his father and more cunning and sly; when he faced the so-called Arab Spring, or peaceful demonstrations (a good option in comparison to him), he quelled people and allowed ISIS (the worst option in comparison to him) to spread in Syria and the Levant in general within Sunnite Wahabi milieu. Thus, Bashar Al-Assad is a worse option as opposed to the worst option of ISIS rule; people are now weeping over Aleppo victims. 2- The same applies to Iraq; when Saddam Hussein, the worse option, was gone, the worst option has settled: ISIS plus civil strife between Shiites and Sunnites. 1- We were at the age of three when the 1952 coup in Egypt dethroned King Farouk. During our childhood and adolescence, we used to worship the idol/icon called President Gamal Abdel-Nasser. Within the primary school stage of our infancy, we sent a letter to him, without a stamp as typical at that era, and Abdel-Nasser would send a reply that consists of his photo signed by him. We felt overjoyed at the time to receive such a precious gift from this idol/deity. We received the wake-up call in the War of June 1967 (a.k.a. the Six-Day War), and we have witnessed some of the ensuing tragedies, as we used to live at the time in Zagazig city, Al-Sharqiyah Governorate in Eastern Delta of the Nile, a city that received a great number of the injured ones from the cities of the Suez Canal after the Israeli aggression, a recurrent scene at the time that ached our heart. we were at the age of 18, and we volunteered in civil defense forces, and the idol/deity of Nasser has fallen in our mind. This led us to pose the right questions that led to one thing: the vital importance of introducing comprehensive reform on all levels in Egypt. 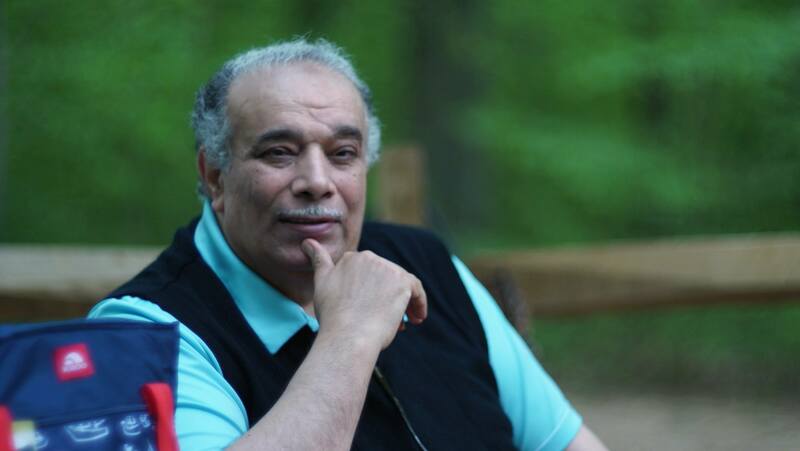 2- When we were an Assistant Professor in 1975 at the History Department, Al-Azhar University, Sadat allowed a sort of cultural climate that favored criticism of Abdel-Nasser. In a forum that took place inside Al-Azhar University, we posed this question: who is the worst enemy of Egypt: Nasser or Moshe Dayan? The other older professors looked at me in fear and contempt, and we rephrased the question: how many Egyptian people were killed by each of them? Who killed more? All of them remained silent. Nasser caused the death of hundreds of thousands Egyptians in wars of Israel when he was defeated and in the Yemen war he involved himself in without a reason, this is not to mentioned those murdered in his military prisons. Thus, we compared the deity Nasser to a leader of Israel: the enemy no. one of the state of Egypt at the time. Our conclusion was that Israel is a worse enemy, whereas the tyrant Nasser was a worst enemy. What about dwarfs who came after the towering figure of Nasser? 3- A professor of geography at Cairo University, Dr. Yaseen Morad, has narrated to us that during the Nasser era, he planned a journey with his students to go to Sinai, and how he found extreme difficulties to get a permission to go there. He saw that all routes inside Sinai were not paved. Years later in the late 1970s, Al-Azhar University, History Department organized a trip to Sinai, after it has been liberated partially, to cities of Arish and Sharm Al-Sheikh. We were surprised to see paved routes and how cities of Taba and Sharm Al-Sheikh were modernized by Israelis by water-pipes and gardens etc. and how Egyptian soldiers sabotaged and stole such 'Israeli' items and projects. Even Sinai Bedouins used to be treated kindly by the Israelis while they suffered bad treatment by Sadat after the 1973 War (a.k.a. the Yom Kippur War). Some of these Bedouins talked to us and praised Israelis in a manner that filled me with surprise, as they were treated kindly as long as they never raise arms against Israelis, who modernized parts of cities there as well. Thus, the Israelis were good option to them and the Egyptians were worse option. As for now (2016), what does the Egyptian armed forces do in Sinai to combat ISIS? And who is responsible for the emergence of ISIS in Sinai? If Egyptian tyrants would have treated Bedouins kindly and modernized Sinai, ISIS terrorists would never have emerged. Which is the worst, worse, and good options in Sinai? 4- We attended a conference in London in the 1990s, and we made acquaintance with an Israeli Arab university professor, who confided to us that Israeli prisons are five-star hotels in comparison to Palestinian prisons. This reply of his came as we posed him a question about the reason he would not live in Gaza Strip or in the West Bank instead of Israel. 5- Surely, discrimination against Israeli Arabs inside Israel is a fact, but those Israeli Arabs are in better condition in comparison to Palestinians living in hell in Gaza Strip or in the West Bank, and in comparison to the weak poor citizens in Egypt or any Arab country. Surely, there is corruption in Israel, but corrupt ones are being interrogated, and there is an imprisoned Israeli president. In Egypt, a chancellor is imprisoned for doing his job of exposing financial corruption of the military rule. Though the Egyptian Constitution considers torture a crime never pardoned with the passage of time; yet, the human-rights activist and lawyer Negad Al-Borei is facing imprisonment for protesting against torture crimes. The Palestinian tyrants (i.e., leaders like Abou Mazen, Khaled Mashaal, Ismail Hanieyeh, etc.) are corrupt and maintain deeply-seated despotism and corruption levels. Many Israeli settlements are being built by Palestinian companies owned by Palestinians politicians. 6- Israel treat Arabs opposed to is very badly, but the worst is the treatment by Fatah and Hamas with ordinary Palestinians; let us remember that Hamas committed the crime (which is a religious duty in the Sunnite religion) of taking human shields in Gaza, while hoarding millions at the expense of Palestinians inflicted with bloodshed. Hamas would commit terrorist operations against Israeli civilians and hide inside alleys of Gaza and using its people as human shields. This makes Israel react badly by bombardments and hundreds of Gazans die and get injured while Hamas leaders count their wealth of billions in luxurious hotels, billions they stole which were originally given to rebuild Palestinian cities. Rulers of Israel vary as they come and go through elections while Palestinian leaders never step down unless they die. 7- Of course the poor Palestinian nation deserve better leadership instead of such human trash of corrupt leaders in Gaza Strip and the West Bank; they deserve better treatment by Palestinian authorities, may be the treatment of Israel to Arab Israelis. 1- The Arab secular tyrants (the worse option) kill only armed rebels and armed opposition to protect their thrones, but they do not negate the other, whereas the Wahabi tyrants (the worst option) negate and kill the other merely because it is the other, killing and torturing the other with ardent passion and zeal while thinking that this is a religious duty imposed by their deity: the Devil/Satan. 2- There is a room for negotiation and dealing with the worse (the secular tyrants) by the other because they do not negate the other, whereas the worst (Wahabi tyrants) see only themselves and annihilate the other who deserve nor room at all, in Wahabism, except to settle in Hell or in a graveyard. 3- It is a sad fact that people have to deal with the lesser of two evils or the worse to avoid the worst in the absence of a good option; we live in the age of degeneration.